For a book lover like me, opening my Back To Basics Living Bundle was like opening a Christmas gift filled with lots smaller presents inside. Where do I begin? What do I look at first? Actually, it wasn't that hard. 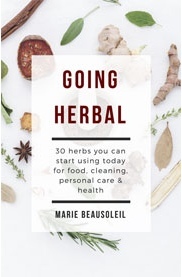 The first one I wanted to look at was Marie Beausoleil's Going Herbal: 30 herbs you can start using today for food, cleaning, personal care & health. Marie's A Cabin Full of Food was in last year's B2B bundle, so those of you who bought that bundle likely understand why I chose her book first. She writes the kind of books that you really want hard copies of, books you'll use as a reference as well as a resource.You can read my review of that book here, and I can tell you that Going Herbal didn't disappoint. What makes this book different from other books about herbs is her chapter entitled "The Common Active Components of Herbs." Most books give you a list of culinary and medicinal uses for herbs, but in this chapter Marie explains why herbs work. She gives you a brief history of herbs in western culture, also on the safety and quality of herbs including a discussion of misleading information online. 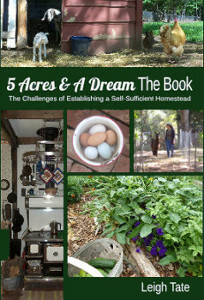 The next several chapters discuss growing your own herbs, harvesting and storing, and how to set up your own kitchen pharmacy. If you are unable to grow your own at present, there is an excellent discussion on how to purchase good quality herbs: how to evaluate the company's website and products. The next chapter discusses essential oils and how to choose quality oils. The bulk of the book is devoted to the herbs, "30 Herbs & How to Use Them." Each herb includes a section on cultivation, tips on growing, medicinal uses, and several recipes. Recipes like Aloe Vera Shampoo, Burdock Hair Conditioner, Dandelion Coffee, Elderberry-Echinacea Syrup, Ginger Oil, Hawthorn Jelly, Basil Insect Repellent, Cayenne Tincture for Relief of Joint Pain, Garlic Antibacterial Ear Drops, Lavender Body Lotion, Licorice Candy, Marshmallow Salad, Nettle Beer, Potato Plantain Soup, Clover Blossom Tea, Rosemary Foot Scrub, Sage Incense, Spearmint Essential Oil, Thyme Facial Toner, Turmeric Juice, and Valerian Tea. Needless to say, I'm really happy with this book and if it comes out in paperback, I will likely purchase a copy. This sounds like a must-have book! I like the additional information on why herbs do what they do. Nancy, I especially like all the herbal recipes! 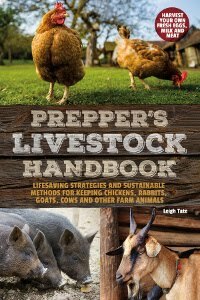 Susan, I've heard so many criticisms that herbs don't work, yet everyone acknowledges that antibiotics and livestock wormers are becoming increasing ineffective. For my last writing project I found a lot of scientific studies on the effectiveness of herbs - finally. The argument that it's all folk nonsense or there's no scientific proof is no longer valid. I'm going to use the suggestions in this book to expand my herb garden this year. That sounds like a wonderful and useful book!! M. K., definitely. Marie is an excellent author and I've really liked the books she'd included in the B2B bundle every year. Keepers!